Founded in 1898, the Conklin Pen Company is regarded as one of the most significant and innovative manufactures from the golden era of fountain pens. 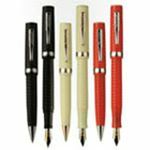 They have produced models such as the Crescent Filler, Endura, Nozac and Glider to serve modern writers' needs and introduce them to the unique pleasures of vintage writing instruments. 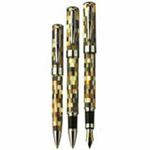 Conklin fountain pens are still valued by collectors and admired by pen enthusiasts throughout the world. Today Conklin continues this tradition of innovation and excellence by offering unique limited edition and regular edition writing instruments of the highest quality. Based on the original designs of earlier models, all Conklin pens are manufactured by artisans dedicated to producing writing instruments worthy of their legendary name. Available at exclusive dealers worldwide.